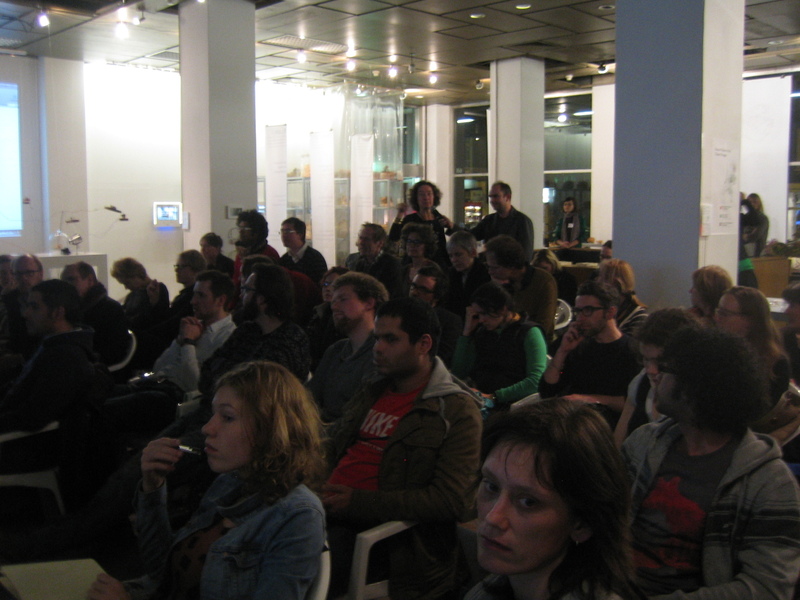 On the evening of Thursday the 16th of February the workshop teams presented their results at Mediamatic. This post will be about teams 3 and 4. The reports on teams 1 and 2 can be found here. With the presentations of team 1 and 2 over, it was time for team 3 to present their case. Housing corporation Trudo had asked them to look into the development of Strijp-S in Eindhoven. Strijp-S is a former industrial area with lots of potential for urban development. There are already plans to turn at least a part of the space into a residential area and there are a variety of festivals that call the area home. Trudo is interested in transforming the former Philips site into a lively, cultural center attractive to young, creative people. In particular, Trudo asked the team to look into how digital media technology could be used to draw people towards the area, for residence and for visits. With this in mind, the team came up with the idea to turn the area into a temporary social experimental zone. Because there is no all encompassing plan for the area, why not use it as a living lab? Anyone with an idea should be able to make it happen at Strijp-S. Art projects, festivals, shops, restaurants, temporary or permanent. Using game design elements, the team proposed the creation of an online platform where all interested parties could collaborate on the development of ideas and help to maintain the area. By gamifying the platform and the area, the team hope to attract the young, energetic crowd that Trudo is looking for. Submitting proposals, negotiating with other community members, gaining support or providing assistance could all result in some kind of score increase, experience points or achievements. The team suggests that the easiest way to start the initiative might be to piggy back off of the temporary festivals and activities that already exist in the area. In summer there’s usually a swimming pool and in winter there’s an ice rink, why not expand those ideas? Players should be able to add to them so that the overall amount of activity in the area increases and Strijp-S comes alive. After the presentation, Trudo was very impressed with the teams ideas. In fact, Trudo has invited the entire team for a second workshop sessions to further develop the concept. The fourth and final presentation takes us back to the Amsterdam area. Team 4 together with the city’s department of economic affairs looked into how to create a network for civic innovators. 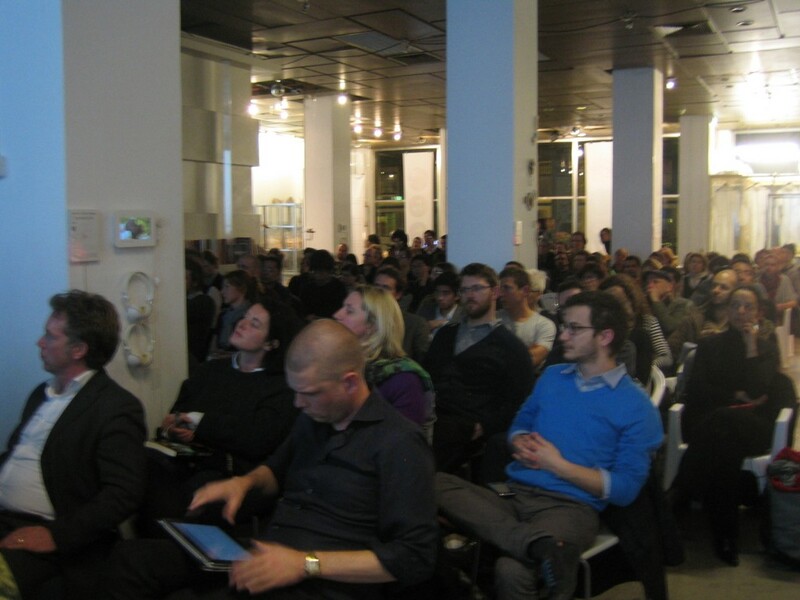 Currently, there are many different initiatives within the city that focus on innovation. However, there is no overall coordination between these efforts because they are often run and sponsored by different municipal departments or organizations. Initiatives like the successful Apps for Amsterdam contest and Hack de Overheid therefore have difficulty maintaining momentum and following through based on their initial successes. Aside from meeting with city representatives of the economic affairs office, the team also met with people from Hack de Overheid. Here it became clear that the city does have a desire to foster innovation, yet they appear to be struggling with how to do this and at the same time there seems to be little interest in actually doing something about that. With this in mind, the team set out to conceptualize what a civic innovator network should look like. Most importantly there should be clear mutual benefits – or motivations – for parties to involve themselves in such a network. Here the team also identified a potential issue. By creating a bottom-up innovation network, the role of the city and its officials will change significantly and it could prove difficult to convince them of the direct benefits of such a change. Therefore, the team has come up with three key points the city should keep in mind. They should focus on connecting with existing platforms and communities; why reinvent something if it’s already there? Second, the municipality should adopt a more open and flat organizational model to better accommodate their desire for an open civic innovation network. This will likely prove the most difficult part, as changing an entrenched mindset within any organization is a difficult task. And thirdly, the team urges the city to not force innovation for its own sake. Helping initiatives that are already on there way and providing the right initial conditions to make new one’s grow should be a priority. Unfortunately, the city stakeholder could not be present at the presentation due to pressing last minute business. Hopefully, the team will be able to get in touch with the stakeholders at a later time to discuss their proposal and how to proceed from here.